So the saga continues. I actually started this in December 2011 and finally finished it in April. You finally meet Magellan Lange. He reminds me (and with good reason) of another character in a similar situation–John and his quandary with Zora–and I cannot completely hate or love him, as nothing is truly black or white… No, that was not a pun. I think some of the best characters are well-meaning with good intentions because, after all, the way to Hell is paved with them. The Lady in Black could tell when her inverse was unconscious when the weight pressing on her chest had eased fractionally. She neared her own quarters and became surrounded by her fellow soldiers, which was more comfortable than the alabaster trappings of the Lady in White. She was at home in the metal and the chaos. Lockehart walked beside her, easily matching her ground-munching stride with his long graceful legs. He had been with her since they left the quarters of the Lady in White and had not uttered a single syllable. She figured he was wary of anyone on that side overhearing what would be exchanged between them. On familiar ground they now were, so Lockehart finally spoke. “That he should be so lucky,” the Lady in Black said viciously, sidestepping a group of her officers deliberating trouble in the southern lands. They saluted as she went past, and she nodded and responded in kind. Lockehart gracefully followed her lead, not missing a step. They entered her suite, which was far less elaborate and spacious than that of the Lady in White. The floor was black marble as pure as onyx. A gilt-edged table covered in maps and books took up an entire wall, while her darkly clothed bed seemed meager in comparison. However, judging from the armor and weapons strewn around the room, it appeared she didn’t spend much time lying down. The Lady in Black began to undo her current armor and cape to change into something heavier and more forbidding. Lockehart watched quietly for a moment, then spoke again. Her fingertips froze. Something in Lockehart’s voice gave her pause. Dimly, she understood the phenomenon; it meant that Lockehart may have had a different idea about the end of this situation. Something inside her faltered a bit, but it did not show on her face. She turned to face him. The silence hummed between them for a few beats. The air crackled at Lockehart’s statement. The Lady in Black cursed ferociously and kicked at a bronze shield that had been in her path. The simple remark, and the truth behind it, was more staggering than a cannonball fired at close range. Underneath her armor, she felt like the wind had been knocked out of her. It was not a pleasant feeling. The ballroom was dimly lit. It was not in official use, therefore the grand flames that gave it light were at rest. The only constant was the middle chandelier the Lady in White illuminated to give light as she scribbled furiously in the red journal in her lace-covered lap. She was completely bathed in light. On the edges, sliding in and out of the shadows, was the Lady in Black. Pacing. Plotting. Predicting. The Lady in White hummed a romantic tune as the quill danced over the paper. Her white silk-lined skirt fanned out around her over the white and black checkerboard floor. The only signs of her former distress were the hollowness in her cheeks and the scar along her left wrist. The end of the sheath of the Lady in Black hit the marble floor with a profound thud. The Lady in White jumped fractionally as the sound reverberated through the empty room. The Lady in White scooped up the red journal and hugged it to her chest affectionately. “But I’m alovefool!” she giggled. Her opposite merely growled and clenched her fists to keep her from delivering a swift backhand. The sound of footsteps sobered them both. Magellan Lange was not a large man. He was slightly shorter in stature than Lockehart, but they shared a similar build that boasted an abundant degree of physical conservation. The Lady in Black had fought and bested bigger men in her experience so she did not worry about his physical prowess. She was more worried about what sort of mental tactics he had in mind. His amber-hued eyes rested upon the Lady in White first, who gazed at him with adoration she couldn’t suppress. Then his gaze slid to the Lady in Black. She merely stared at him, derision and distrust lurking in those brown depths. She was so guarded she didn’t even blink. Something unreadable crossed Magellan’s features, but he remained silent, as Lockehart did as he leaned against the wall according to the orders of the Lady in Black. The Lady in Black whirled on her inverse. “Finally mature enough to shoulder some of the blame!” she muttered. “Perhaps you would be,” Magellan said quietly. “I don’t quite agree,” the Lady in White disagreed. “Maybe you should,” the Lady in Black retorted. “Yamiko!” Lockehart hissed, the one word a warning of sorts. The Lady in Black backed down, but she was astute enough to catch the hint of mirth in Lockehart’s voice. Wordlessly, she slipped into the shadows. Magellan once again turned to the Lady in White. The Lady in White instantly brightened; Lockehart and the Lady in Black shared a skeptical glance. They heard something different in that last admission than she did. “There is no half doing this, Lange,” the Lady in Black told him. “Let it be,” Lockehart said mildly, the weight of his words stopping the Lady in Black short. As the Lady in White spoke, her inverse shook her head in frustration. She was so besotted with him that she couldn’t see that he was trying to do. Others, the Lady in Black thought as Magellan made his proposal. Didn’t he understand that for her, there could now be no others with him standing so close? Why would he be so crass in asking? The Lady in Black shared another look with Lockehart. He merely stared back. Perhaps this is for the best. Her lips tightened. This is not the way it should be. But their voices did not matter; Magellan and the Lady in White were back in each other’s confidence, albeit with a few conditions. To reassure him that she was comfortable with the arrangement, the Lady in White grazed his face with her fingertips, as loving as ever. She floated out of the room as if she were light as a dust mote. The door opened and closed. The air and light seemed to sneak out of the room behind the Lady in White. The tension that remained was so heavy that it had its own weight. The Lady in Black itched to draw her sword and end it, right here. “I think we have said all we need to say,” Magellan said to her. She squared her shoulders, lifted her chin. They stood side-by-side with the Lady in Black facing the door and Magellan facing opposite. With a swirl of the cape, she stalked across the floor, and the door closed behind her with a final, resounding thud. Two brunettes entered the room, one with a long dark braid in light armor brandishing a bow, and the other outfitted in a maroon dress and brandishing a cup anemometer. Drucilla, one of the Lieutenants under the command of the Lady in Black, flanked by an anxious Claire, the Weather Warden, entered the room and broke the Lady in Black from her reverie. The quiver Dru had at her back was fully stocked with bows, which told the Lady in Black she was in a fighting mood. Those words hung in the air for a few beats. Lockehart and the Lady in Black shared a look. She inhaled and turned away slightly, mind heavy with memory. Is it redundant to say that history repeats itself? she mused. The Lady in Black straightened at the sounds of Drucilla and Lockehart’s voices. “Is he alone?” the Lady in Black wanted to know. The sword gleamed in the firelight at her feet. It was rather inviting it was. There were many things that she could resist. A good fight was not one of them. She bent over and wrapped her hand around the handle of her weapon. “I will claim his life first,” the Lady in Black murmured, then exited. It’s December 28, 2011, and I am pissed. Unfortunately, the person I want to take this out on is beyond my grasp, so I seek my laptop to ease my fury. And this is what comes out. I have forever thought of myself in thirds, probably due to my study of that section of English lit that deals with psychoanalysis–namely Freud’s tripartite model. Both the Ladies of White and Black are me–just different sides, similar to different side of the same coin. The Lady in White is innocent and naive and focused on her needs, no matter what the cost. The Lady in Black is more cynical, though I have to admit they are both very passionate in their own ways. And you can probably guess the role the antagonist played in my reality. P.S. : The quotes used at the beginning of these installments are made by MM characters. The air in the castle was thick, so heavy that when anyone entered from the tempest growing outside, it clung to the skin, leaving a phantom wax-like coating behind. Firelight affected by the wind gusts from the outside flickered on the walls, distorting the shadows of the Lady in Black and her forbidding cape. Underlings watched warily as she marched past, sensing her wrath as it emanated off her taut body. No one asked any questions; if the stormy weeping from the Lady in White and the ominous clouds swooping in from the west were any indication, something indeed was amiss. And the Lady in Black was not going to hesitate to correct it permanently. The Lady in White was a rather passionate young woman; she felt the same as she breathed–quick, deeply, and often. Due to her headstrong, tempestuous nature, she rarely acted on the advice of her opposite; it was limiting, she believed, and who wanted to be limited by Logic? She wanted to live, and in living, she wanted to experience everything, good and bad. Needless to say, the Lady in Black ardently disapproved. The Lady in Black was passionate in her own way; however, compared to her counterpart, she didn’t consider herself as fragile, as easily deterred. She had been fighting to protect the Lady in White all of their lives since she was so precious to the balance of their lives, and at times the battle over the degree of that protection between the two of them seemed more taxing than the dangers that lurked amid them. The dangers that threatened to sully her innocence and generous nature. The Lady in Black, intellectually, understood that one should exist with such attributes, but the Lady in White squandered them on those who didn’t deserve such attention. And again, she had gotten hurt in doing so. But this would be the last time, the Lady in Black vowed. Her eyes narrowed as the words flashed in her brain, and anyone within seeing distance immediately jumped out of her way. Finally she reached the quarters of the Lady in White. Predictably, the vast, plush space was outfitted in variations of white. The inundation of the lack of color nearly rendered the Lady in Black physically ill. She fought back the discomfort and searched the room for her quarry. She found the Lady in White sitting on a padded chaise lounge in all of her tearful, ethereal glory. She wore a dress so white it was startling, almost wearisome, to the naked eye. A fitted bodice with short puff sleeves made her appear younger than her years, juvenile to her antithesis. 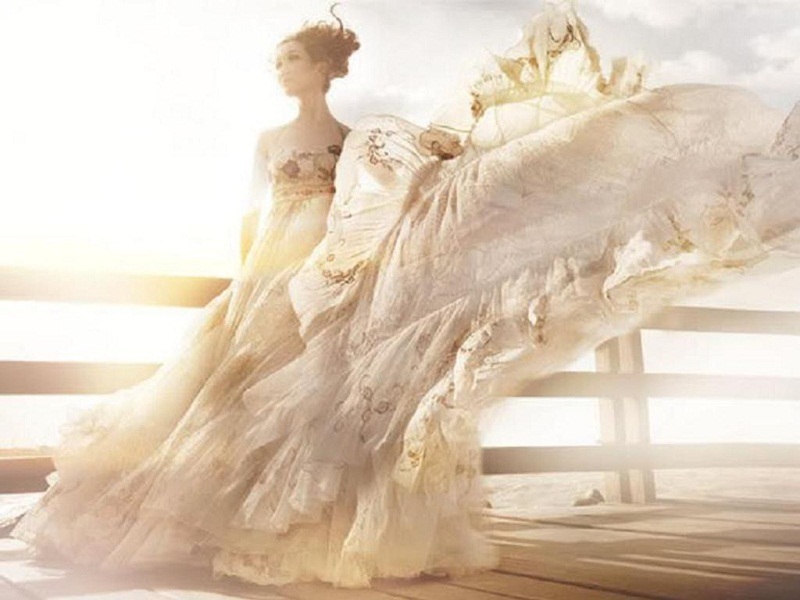 Layers of silk and tulle fanned out around her, and her streaked light brown hair was artfully arranged in curls. A bouquet of white roses sat in her lap and she handled them gingerly as one of three attendants in white offered her a handkerchief to stem her tears. The remaining woman, clad in a hunter green dress, noticed the entrance of the Lady in Black and slipped silently away from her charge. Faye pressed her lips together as she neared the Lady in Black. Misery swam in her gray-green eyes. If this had been a less grave situation, the Lady in Black would have smirked. Faye, in her outward appearance, was affectionate and maternal. However, on the inside, she possessed the heart of a warrior and would not hesitate to bear arms, which made her compatible with and respected by both the Ladies of Black and White. “I have another pair of organs in mind,” the Lady in Black said sourly as her foil sniffled loudly. Faye grunted her approval. At that moment, the Lady in White noticed the new occupant in the room. The tears abated fractionally and she leapt up toward Faye and the Lady in Black. The anticipation in her eyes was so profound, they were nearly screaming. Him, here? Please? In a show of anger, the Lady in Black unsheathed her sword, the quick action halting the breaths of Faye and the other maidens in the room. Before the Lady in White could swallow, the sword was at her graceful throat. The Lady in White moved sharply at the word mistake, forgetting that there was a weapon at her throat. Crimson dripped down her neck, down her chest, and stained the front of her dazzlingly white dress. One of the attendants gasped at the piquant contrast. “Stand down before you kill her,” Faye murmured. The sword hovered in place a moment more before the Lady in Black lowered and sheathed it. Faye retrieved a clean handkerchief and had the bleeding Lady in White press it to her wound. She peered at the Lady in Black resentfully. The Second of the Lady in Black, Captain Lockehart, strode in at that moment, diverting the attention of the Lady in Black. Despite his impeccable appearance in military regalia similar to that of the Lady in Black, he seemed troubled. He paused beside her before bowing to the occupants. The Lady in Black stiffened as sneaky suspicion wove its frigid, tingling fingers up her spine. The Lady in White too went still, but hope oozed from her every pore. Anxious, Faye took one step away from the Lady in White toward Lockehart, the question in her eyes that everyone else was thinking. “What is the trouble, Captain?” the Lady in Black asked. The room held its breath as Lockehart paused to take in the faces around him, their rapt interest. He seemed reluctant to reveal the reason for his being there. As that Truth dawned on the Lady in Black, she felt sickness and fury grapple for precedence in the pit of her stomach. “Lockehart?” the Lady in Black pressed. He raised his caramel-hued eyes to hers. Her breath quickened. “Magellan is here,” Lockehart revealed. Magellan is here. The words sent sickness sprawling away in utter defeat, and fury exploded within her, leaving her insides searing. The unfettered optimism that slowly transformed the face of the Lady in White was utterly heartbreaking. Faye closed her eyes against the onslaught of the warring emotions. Something unintelligible flickered in Lockehart’s eyes but he said no more. The abrupt end of the sentence was punctuated by the sound of her fragile, slight body colliding with the wooden floor. It was a rather unpleasant sound. Faye couldn’t help but wince. As The Lady in White whimpered at the pain, her inverse stood over her, face contorted with anger. A hard gust whipped the drapes so hard it nearly ripped them from their rod. Lightning crackled far off in the distance, strong enough to raise small hairs, even from that proximity. The two young women, one Bright, one Dark, stared at one another. One clung to an innocent, foolhardy hope. The other sought for the eradication of something that did not belong. The power of that gaze and the opposing sentiments hummed in the air for what seemed an eternity. “Lock her in the Tower,” the Lady in Black ordered tonelessly. Lockehart gave a signal to soldiers hovering outside the entrance. As the darkly clad men came toward her, the Lady in White took a step backward in an attempt to evade them, shaking her head hysterically. She whimpered the word no, and as they became more forceful in her containment, that tiny word grew in volume until it filled the room with its shrillness and sorrow. Her three attendants wept as she struggled against captivity. Faye’s lips trembled, but no tears came forth. Even though the officers had managed to drag the Lady in White from the room, the ghost of her grief lingered in the still air. Seeing that she could not persuade her Dark Comrade, Faye uttered nothing more. Cape swirling, the Lady in Black whirled and headed away and down, her quick footfalls a fierce drumbeat to the cacophony of the sobbing of the Lady in White heading in the opposite direction, away and up. Metal clanged against metal as the Lady in White was incarcerated against her will. Her pleas were faint but piercing. But the Lady in Black would not buckle against them. This was for her own good. This time the battle for the preservation of the Lady in White would wage between the usurper Magellan…and the Lady in Black. And she didn’t plan to lose.